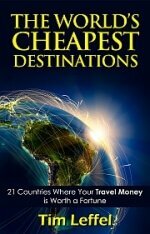 Yes you can afford quality travel gear and clothing for your journeys. The secret is buying it when the timing is right, not two days before your vacation. You don’t have to accept those kinds of prices to get good travel gear, backpacks, and apparel though. You just have to buy it when demand is low. That happens to be right now as I right this—late August. Summer vacations are winding down, back to school shopping has ended, and soon the weather will start cooling off. It’s in between time at retail. This is not the only window for terrific deals though. There are several windows that are the best times to buy travel gear. Anytime stores have to move out the old to bring in the new you’re going to find drastic reductions. Companies like Colombia, Patagonia, and North Face are bringing out new styles at least twice a year and if you buy the old styles when those new ones are launching, you can find unbelievable bargains. Just look at this page from on of my favorite travel clothing brands: Craghoppers. 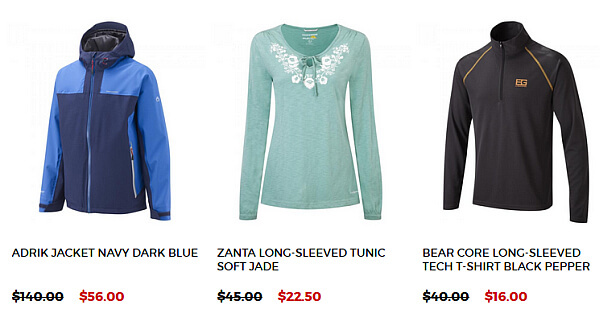 Here’s a page from the sale section at Backcountry.com. You can pick up terrific gear that’s just last year’s color (and maybe a few grams heavier) for 1/3 what it went for originally. So what are the best times to buy travel gear? The second big changeover is in the spring, when the jackets go for as low as it takes to sell them and the bikinis come out in stores. Logically this should be happening in May or so, but really it gets cranking as soon as early February—the height of ski season. If something is not selling well from the winter line, they’ll already know it by then. By the time we get into March, the physical and online outlets will be offloading base layers, goggles, and beanies for the price of a 6-pack of craft beer. There are smaller inflection points in there where bargains come out in force, usually because there’s a shopping holiday in there. Labor Day will bring out sales because the timing is right, but so will Thanksgiving, Father’s Day, or President’s Day. Besides the online stores I mentioned above, note that many brands run their own stores and some are quick to discount slow-moving items. This doesn’t mean anything is wrong with them. It usually just means there’s a new style or color replacing the past one. These travel apparel companies are on the same kind of cycle as fashion ones and are under just as much pressure to come up with something new to talk about each season. Just saying, “Our travel shirt is super-popular so we’re not changing a thing” doesn’t cut it. To get new orders, they need to show buyers a new version. This doesn’t make much sense, but it’s the way it is. Also keep in mind that some online retailers discount more than others. Zappos almost never does and its parent company Amazon takes advantage of the fact that many Prime members buy from there without even looking anywhere else, assuming prices are equal when they’re not. 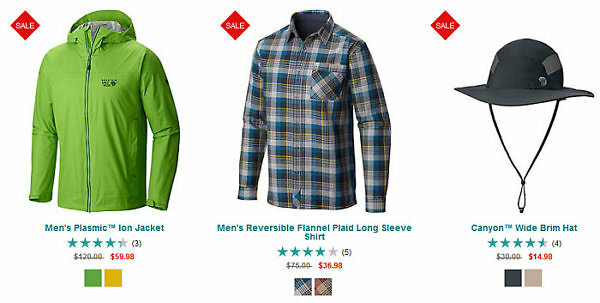 REI has always been less of a discounter than others. But a few times a year they run a good sale and occasionally you can find some deals in their outlet section. And back to the luggage again. If you need a new backpack or rolling suitcase, you can’t beat the selection at eBags and you get free shipping if spending at least $49. I like the way buyers of travel clothes think everybody is below a 44 waist or that bigger guys would pay for the better quality as smaller waist guys! I experience this in Seattle in the 1960’s when my buyer who wore a 30 couldn’t believe that on Saturdays I was turning down customers that were 38 and above with great regularity. When he saw the wiring on the wall our Levi figures jumped 12% in the year after he started bringing larger sizes. JC Penny’s down the Mall were no longer taking away my big guy business. 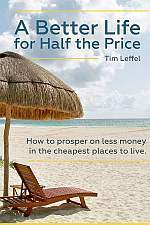 Best time to buy travel gear is in midsummer at the end of July when most people have already been on their big trips. That’s when it starts, but then they continue to mark down from there. You’ll find deeper cuts from Labor Day weekend onward (for summer gear).